HOME-DZINE Home Decor | Do you know what's under your carpet? Do you know what's under your carpet? If you want to find out what's under your carpet... take a peek! Judging by the amount of mails I receive for advice on ripping out old carpets, replacing stained carpets, or flooring alternatives, I thought it might be of interest to post an article on what you can expect to find if you are planning to rip up carpeting. 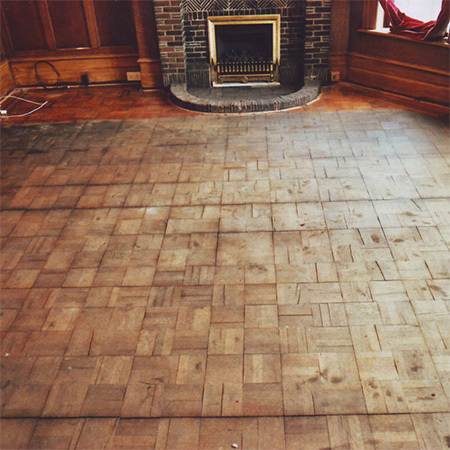 There are plenty of homeowners that have been pleasantly surprised when ripping out old carpets only to find parquet or hardwood floors hidden underneath. 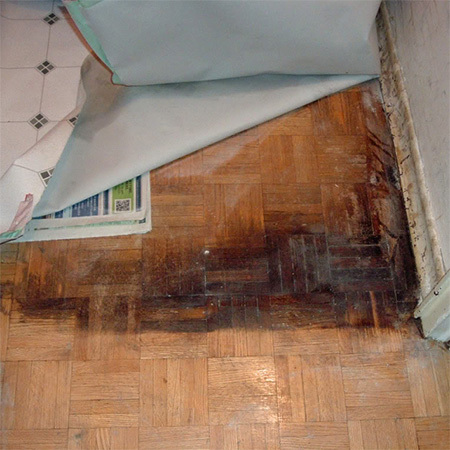 This happens quite often in older homes where hardwood floors were considered as an affordable flooring alternative at the time. Newer homes, on the other hand, will most likely have concrete floors. If you are itching to find out what's underneath an old and grubby carpet you're going to need to pull up a corner and see what has been covered up over the years. Use a flat head screwdriver to prise up a corner to take a peek underneath. If you don't like what you see, which is probably just a slab of concrete, there are still plenty of flooring options to choose from. 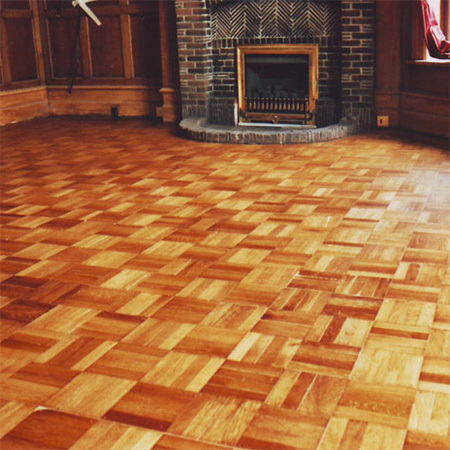 If you discovered that your home has a hardwood or parquet floor, you will need to remove the carpet entirely to find out if the floor is in good condition or while require some restoration work. In many instances carpet gets installed over hardwood or parquet floors simply as a matter of personal preference. A new homeowner decides they don't like the look of wood floors and has a carpet fitted over the top. 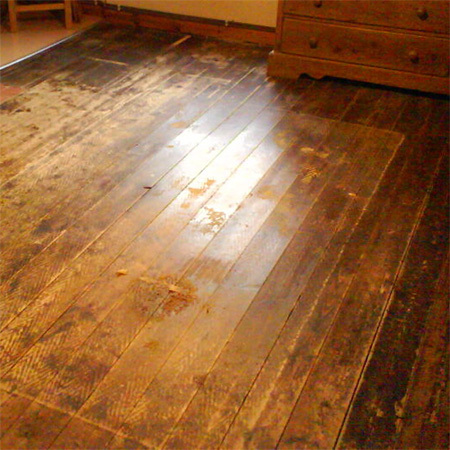 Over the years spills and stains on the carpet may have damaged the surface of the wood underneath, but chances are you can easily fix this up with a light sanding and re-application of wood sealer or flooring polyurethane varnish. After discovering a wood floor underneath carpets the first step is to remove the carpet. If you have already lifted up a corner, pulling on this should allow you to lift up the entire carpet. There will be carpet strips along the outer perimeter of the room - these are metal or wood strips with small raised pins that hold the carpet in place - and these will need to be removed. Pry out the nails holding the strips in place to prevent damaging the floor and then fill with a tinted wood filler. In some instances the underfelt may be stuck down to the floor and you will find glue removing products at your local Builders Warehouse that will assist in removing stubborn adhesive. Where wood planks or blocks have succumbed to wood rot and are beyond repair you will need to source a matching wood and have blocks cut to fit and fill in any gaps. Take a sample block to a timber supplier so that they can identify the wood species. Once you know the species of wood you can opt to replace with the same, or choose an affordable alternative and stain to match, since many hardwood species are now extremely expensive to replace. ABOVE: Oregon pine floor hidden under carpeting. Do yourself a favour and hire a floor sander for a day or two. This is the easiest way to sand an entire floor. When you hire the sander you will also need to purchase sanding discs for the machine. 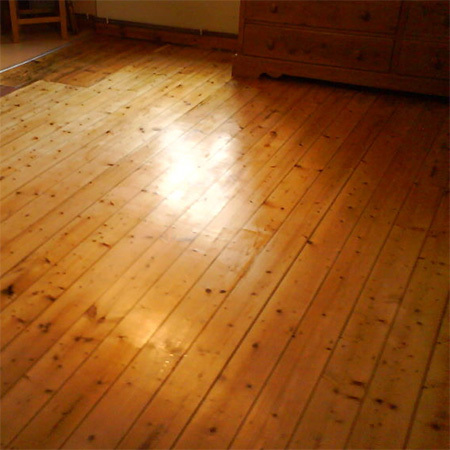 The worst thing you can do at this stage is sand away too much and end up with a floor that is not safe, so err on the side of caution and sand with 120-grit to remove as much surface damage as possible without taking away too much wood and then sand with 240-grit for a smooth finish. Using an industrial sander is a messy process. Stock up on large plastic sheets or canvas drop cloths that can be taped around doors and openings to prevent the dust from spreading throughout the house. And invest in a dust mask that has a built-in filter. AFTER: Oregon pine floor after sanding and application of matt floor sealer. If you don't feel that you are able to tackle this project yourself, or are unsure as to whether or not a hardwood floor is safe, do yourself a favour and let a reputable flooring expert take a look at the floor. They will be able to determine whether the wood has been damaged by wood rot, is thick enough for use and still have sufficient support.